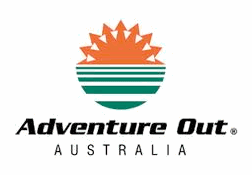 Since 1984, Adventure Out Australia has been specializing in outdoor adventures and incorporating activities such as abseiling, rock climbing, trekking and group games into corporate team development, outdoor and education adventures. Our mission is to “promote personal and organisational development through participation in fun experiential learning programs”. Team Development – With your corporate goals in mind, we carefully plan a range of activities to suit your training needs. Education/Schools – Our aim is to provide our future leaders with the opportunity to develop different skills in an outdoor environment, while providing a focus on such things as teamwork, problem solving, communication skills and most importantly, having fun. Outdoor Adventures – Elevate your adrenalin and challenge the body and mind with abseiling, climbing, trekking, or rafting adventures.